Additional Wolves for different climates, mobs and ores! Stacy's Wolves is a mod made for StacyPlays modded let's play series on YouTube. It features a vast amount of additional wolves that can tamed using their specific bone - which can be crafted with a bone and the corresponding material. The wolves act like vanilla Minecraft wolves in most respects. This mean they can be made to sit, follow, tamable, colourable collar etc. Unlike vanilla wolves, they have special spawning conditions based on biome and area. Final note to make is of course... CUTENESS OVERLOAD! In 1.1.0 sixteen new wolves have been added (see changelog for details). Note that in order to change the wolves' follow mode, you now need to use the clicker item. Stacy's Wolves is configured using config/stacywolves/main.cfg. An example file will be generated when you load the mod the first time, but here's a copy for reference. # List of dimensions to NEVER spawn Stacy's Wolves in. Are Stacy's Wolves compatible with Doggy Talents? Unfortunately not. I looked into it and it doesn't look like it'd be easy to add Doggy Talents support. Will there be a <insert version that isn't 1.7.10 here> version? Stacy's Wolves was built specifically for Stacy's Let's Play of Mystic Mesa which is all 1.7.10. There are no plans at this time for anything else. What do I feed the wolves? Stacy's Wolves love a juicy raw steak or a bit of raw chicken. Later on we'll probably make them a little more interesting (maybe Blaze Wolves might like to eat some coal?). How do I breed the wolves? Stacy's Wolves, like any Minecraft animal, require a bit of encouragement to get into the mating mood. The Meaty Bone of Love seems like just the thing. What are the recipes for the bones? Stacy shows most of the recipes in the mod spotlight video above, but there are two notable omissions. Firstly, the Meaty Bone of Love is crafted with a bone + a steak. 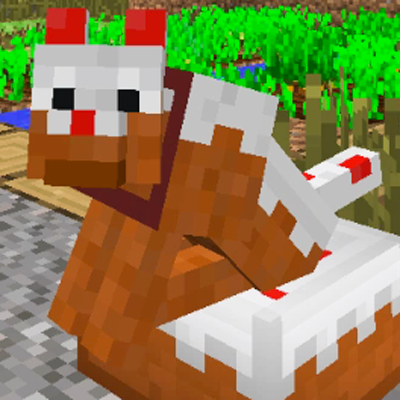 Secondly, the Savannah Wolf's bone is crafted with a Grass Block, not cut grass as shown in the video. Are Nether Wolves fire proof? No. Nether wolves are made of Netherrack. Netherrack is very flammable. As are the wolves. Blaze wolves on the other hand will be fireproof just as soon as I figure out how to make it so! Can the collar colours be changed? Just like Vanilla wolves, Stacy's Wolves' collars may be dyed using any coloured dye. You spell 'color' funny! 'Strayaaaaaaaaaaa. How do I get Prismarine in 1.7.10? There is a mod called Et Futurum which adds various 1.8 features to 1.7.10. You'll need this if you want to play with the Prismarine Wolf. See the files section for details on each version. It's strongly recommended that reports include a copy of the latest forge log at the time the issue occurred, uploaded to Pastebin or similar service. If one isn't provided, in most cases our first reply will be to ask for one! The mod is fully open source and can be found on GitHub here. You may fork the project and use it for private non commercial use. Seriously, nobody will use this mod until it is updated to the latest version. If possible, I would love to see an update for 1.12.2 I've been making all of my modpacks on that version <3 Honestly, this would be the only mod that would make me want to even try 1.7 lol but if you guys ever had time 1.12.2 would be cool! How do I download this mod? Can it work on an phone? The mod only works on Minecraft Java Edition for Windows, Linux or Mac. You download and install it using the Twitch app. Really love this mod! Keep up the good work :). How are the discussions for newer versions? Love the wolves this mod adds! Any idea if you'll add support for 1.10.2? i really want to get the Stacy's wolves mod but my mac just wont let me. it keeps on saying that it has no owner and that it could be dangerous. I'm going to take a guess here that you've downloaded the mod's .jar file and are trying to run it. That's not quite how mods work. First you need to install Minecraft with Forge. The easiest way for people new to mods to do this is to download and install the Twitch app (https://app.twitch.tv/) . In the Twitch app there's a Minecraft Mods section where you can set up a profile (make sure it's a 1.7.10 profile) and add mods to it using a somewhat user-friendly user interface. This link should help get that up and running https://help.twitch.tv/customer/en/portal/articles/2764216-how-to-play-minecraft-with-twitch-app . If you're interested, there's also a Mystic Mesa modpack which you can install from the Twitch app which includes all of the mods Stacy uses in her series. Since the newest update adding the new wolves, I've had a lot more trouble finding the original wolves included in the mod. That's expected. The way Minecraft works is that there's a limit on the number of each enemy type (wolves are their own enemy type). Where before you might have had a limit of 30 wolves, but only 12 types (these aren't the actual numbers, I'm just making up an example) now you have the same limit (30 wolves in one area) but with more different kinds of wolf which can take it up. The best way I've found to find wolves is to make sure you're exploring outside of your home area. If you always stick around in one place then the wolves will never despawn and so they will never be replaced with new wolves. Was there a particular wolf you were finding overly difficult? I could check to make sure that it's still spawning and see whether it needs a tweak. Thanks so much! I'm having difficulty finding the original wolves, ore wolves, village wolves, and jungle wolves. Additionally, is there a way for me to up the spawn cap of the wolves? Thanks! When I said a specific wolf I was thinking more one or two. Or are you saying you've never seen any of the originals since the new version? Also you don't happen to know which version you used to have where you didn't have difficulty? The spawn cap is set at 10 regular, 6 ore and 5 water wolves per "area" (I can't remember whether this is a chunk or a group of chunks). They are not configurable. The "monster" type wolves are included in the regular spawn caps. Tamed wolves do not count. The ore wolves are meant to be rare. As are the village ones. I just logged into a new world and managed to find Earth and Birch wolves which are both original version wolves. The zombie, skeleton, and ender wolf are taking over the twilight forest. Is it possible to reduce the spawn rate or stop the wolves from spawning in the Twilight Forest at all? If you have problems in the future, it's better to use the Issues link at the top of the page to report issues as it keeps track of outstanding and fixed issues and also allows you to see if someone else has already had and solved the same problem before.